A man has been charged with killing an 18-year-old who died after an alleged fight outside a shopping centre. 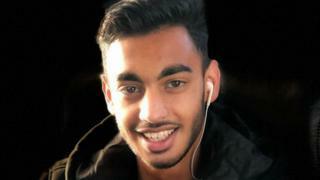 Benyamin Hussain, of Watford, died in hospital from injuries sustained near the St Andrew's Street entrance of Grand Arcade, Cambridge, in November. Hamish Daniel, 23, of Redston Road, London, has been charged with Mr Hussain's manslaughter. Police said he is due to appear at Cambridge Magistrates' Court on 19 March. Mr Hussain died as a result of a head injury. Another man, 20, who was arrested on suspicion of causing grievous bodily harm, remains under investigation.